Valid Will. A valid will can take one of three forms. 1) An entirely handwritten will. This type of will must be verified by two witnesses who are not beneficiaries and can identify the decedent’s handwriting. 2) A will that has been prepared, signed by the decedent, and then witnessed by at least two people. These two people may be required to appear before the clerk. 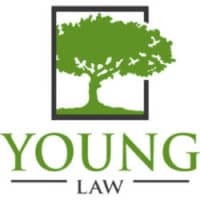 3) A will that has been prepared, signed by the decedent, and accompanied by a self-proving affidavit, which is simply an affidavit witnessed and notarized proving that the will was created in accordance with Virginia law. Probate Information Form. Requests personal information about the decedent and the person seeking qualification as executor. List of Heirs. A listing of all heirs to the decedent with their addresses and relationship. Bonding Agent. Unless the will waives surety on the bond for the administrator, the insurance agent provides surety on the administrator’s bond. A bond with surety is not required in all circumstances. A surety bond is insurance that covers any loss due to negligent or fraudulent handling of estate funds. Payment for Probate Fees and Expenses. During the appointment, the Deputy Clerk will help you fill out any paperwork that is not complete, and provide you with paperwork related to your duties as executor if you are the one qualifying. At that time, you will be sworn-in as the personal representative of the estate. The Clerk’s office will typically not answer specific legal questions you have. If you do have questions, you may contact our office. It will forthwith be your duty, responsibility and honor to represent the estate in a wide range of fiduciary and administrative matters. As such, bond equal to the value of the estate is requested, and surety may or may not be required. 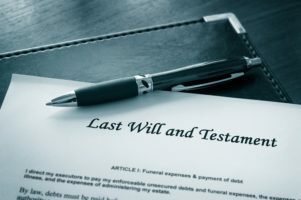 There are some instances where the person submitting the will to probate are not the person named in the will as an executor. It may be that the named executor is unwilling, unavailable or unresponsive. Contact our office you are experiencing difficulty or confusion.